I have read somewhere that instead of choosing someone whom we can live with, we should choose someone who we cannot live without. I personally think that the statement got a point, because we basically can live with any kind of people as long as we give tolerance to some extent. However, it is rare to find someone whom we cannot live without. Even though humans are social creature, I always believe that deep inside we are all loner creature too. Sometimes we need some time on our own. Hence I always believe that it is rare to find someone whom we need to spend our every time with. I always believe we can share our life with any kind of people as long as we want to at some point. However, it is rare to find someone whom we need to share the rest of our life with. Even though humans have the individual side within them, I always believe that deep inside we are longing for someone to be together with. Hence I always believe that it is rare to find someone whom we cannot imagine our life without them. Therefore, once we do find that someone, don’t let them go easily. Since we would only realize that we have nothing in the end if we don’t have them. This song has been stuck in my head for some times now. 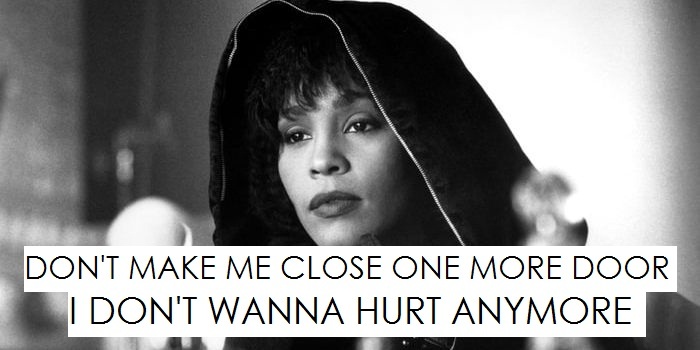 It is titled “I Have Nothing”, performed by the late legendary diva, Whitney Houston. 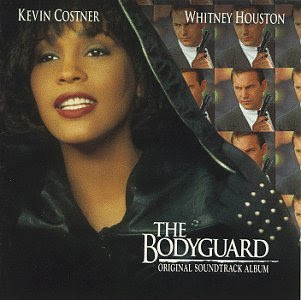 The pop soul ballad track was released on February 20th 1993 and served as the third single taken from the album “The Bodyguard: Original Soundtrack Album”. Written by David Foster and Linda Thompson, “I Have Nothing” is described as a richly orchestrated power ballad about deep love and the confusion that happens to lovers because of the different perceptions of women and men when it comes to commitment to one’s lover. It is the kind of love that is so strong that could break your walls down. It is the kind of love that is so sincere that could see through right the heart. It is the kind of love that is so genuine and pure that could teach us on what and how love really is. It is the kind of love that could define the love itself. “I don’t really need to look very much further. I don’t wanna have to go where you don’t follow. I won’t hold it back again, this passion inside. I can’t run from myself, there’s nowhere to hide. Your love I’ll remember forever.” It is the kind of love that we never know before until we know it. It is the kind of love we do not want to be just a memory; for we want it to last forever. It is the kind of love that makes us realize that we do not need to look for anything else anymore; that it is our end game. It is the kind of love that makes us understand that we do not need to go to any other place anymore; that it is the end of our journey. We cannot hold it back for the passion is burning hot. We cannot run away for there is nowhere to hide. The love is imprinted in our heart. And somehow, that is all that we have. It becomes our life. It becomes our everything. And we realize that if we don’t have that person then we don’t have anything. In other words, if we have that person then we have everything that we need in this world to hang on. If we have that person then we have all the things that we need in life to survive. “Don’t make me close one more door, I don’t wanna hurt anymore. Stay in my arms if you dare or must I imagine you there? Don’t walk away from me, I have nothing if I don’t have you.” And for that kind of love, we won’t let it walk away from us. For that kind of love, we won’t close the door. For that kind of love, we would sacrifice anything to make it stay in our arms. For that kind of love, we could make efforts for everything to keep it close to our heart. “Don’t you dare walk away from me. I have nothing if I don’t have you.” And that is when we understand the meaning of not being able to live without someone. That is when we understand that we have nothing if we don’t have the love. I have lived long enough now to see that people have closed so many doors behind them only to find one that they think is right for them. And I have lived long enough now to notice that some people make some regrets by closing the right door only to choose the wrong one. Hence I do not want to make the same mistake. I have lived long enough now to understand that it is possible that there is something in this life can be so much more precious than any other thing; to know and to feel that there is indeed something we can cherish deeply. It is love at its most wonderful form. It is love at its most heartwarming feeling. It is love at its best. And nothing in this world could ever be compared to that. Nothing in this life could ever be equal with that. No amount of wealth could ever pay for its price. No other thing could ever replace it. When we have it, we have the world. When we have it, we have the universe. When we have it, we have the life; we feel alive. When we have it, we have everything. When we don’t have it, we have nothing. Hence I do not want to close that door. Stay in my arms if you dare or must I imagine you there? I never knew love like I’ve known it with you, will a memory survive, one I can hold on to?